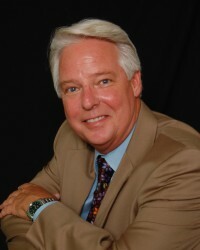 Chris Hoover has been an attorney since 1986. He has always operated his own law office defending criminal cases. He began by accepting court appointments until he built his practice. For the past 15 years, Mr. Hoover has focused exclusively on DWI defense, making him one of the most experienced and respected DWI trial lawyers in the country. The son of a well-respected physician in Dallas, Chris Hoover studied biology and chemistry during his first years of college. In 1992 he became interested in the science behind breath testing and took advanced DWI courses across the United States to learn more about breath testing and defending DWI cases. His advanced knowledge of science has proven very helpful in defending breath test and blood test cases as he understands the science the State experts discuss during trials and can make it understandable for a jury. He is a Founding Member of the National College of DUI Defense. This college is dedicated to providing the most advanced teachings on the subject of defending DWI cases and is attended by attorneys from across the United States. Chris Hoover has also been featured in many seminars across the United States that discuss the defense of DWI cases. He has gained a National Reputation as one of the best DWI attorneys in the State of Texas. Most of his clients are referred by attorneys from across the United States and Texas as well as satisfied clients. He has a reputation as a thorough, educated and caring attorney. In dealing with cases involving addiction and dependency issues, he is also quite well known throughout the rehabilitation industry and often receives referrals from these agencies.